Having used many design devices and programs over the years, I was happy to have the opportunity to check out the latest multi-touch tablet on the market – the Wacom Bamboo Multi-Touch tablet. As an avid iPhone and iPad user, this type of touch-technology makes interacting with new design programs a breeze for me. I was excited to review the new tablet with the latest version of Anime Studio Debut 8 software. The first in a series of exclusive releases with Wacom, Anime Studio users can now use finger gestures on Bamboo Multi-Touch tablets with a special upgraded version of Anime Studio 8.1. This new Anime software update includes over 30 new features, performance enhancements and integrated user feedback. 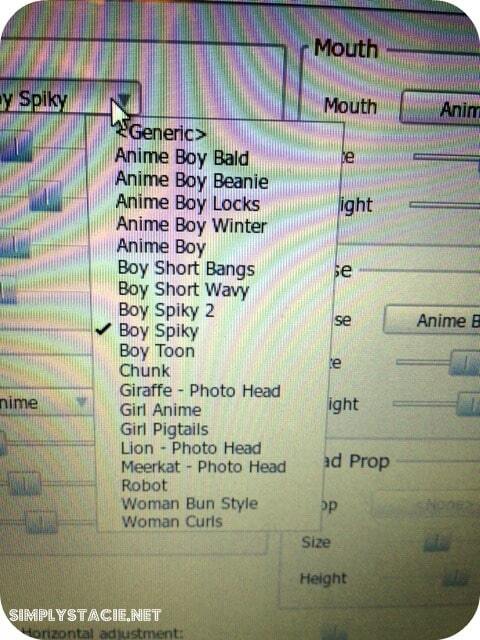 I consider myself a hobbyist when it comes to using software like Anime. 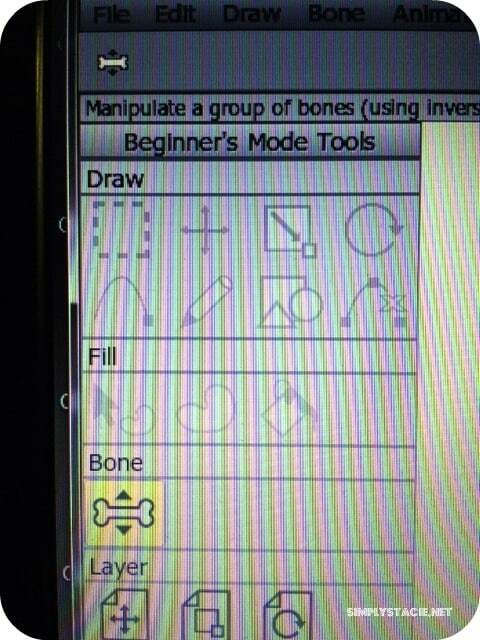 I was glad to see extensive tutorials as part of the Anime software – made it easy to understand the software which translates into it being easy to use. The same was true with the Bamboo tablet. Step-by-step tutorials on how to properly use the tablet were integral in my success using the tablet in conjunction with the Anime software. iPad, iPhone and other touch-enabled device users will find working with the Bamboo tablet a breeze – very easy touch-tap motions to open files, scroll, select, copy, paste, etc. The tablet also comes with a pen that makes simple tasks, like creating signatures, easy and quick. I was able to use both the pen and touch features interchangeably while exploring the Anime software. I had fun playing with my digital images with the Bamboo tablet. It made editing photos enjoyable. I also liked adding in my own personal touches to my pictures (names, dates, quote bubbles). I used the pen for most of the editing I did. The touch feature came in handy with scrolling. 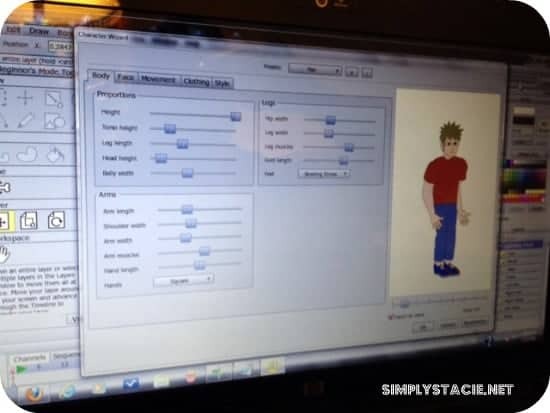 I sat with my husband and we both liked the ease of use of the Anime software – we created our own spiky-haired boy to animate and had fun exploring the different tools to use. It is user-friendly software that I’m sure becomes even easier to navigate as time (and usage) goes on. We were able to work with the software using the Bamboo tablet as well as a traditional mouse. It’s nice to be able to have the option to interact using either one. You can take a tour of the software package as well. The MSRP for Anime Studio Debut 8 is $49.99 and Anime Studio Pro 8 is $199.99, available at http://www.smithmicro.com/anime. Current users with a valid serial number can download and update their copy of Anime Studio 8 or 8.1 to version 8.2 for free by visiting http://anime.smithmicro.com/updates.html. Users with Anime Studio versions 7 or earlier can upgrade to Anime Studio Debut 8.2 for $19.99 or Anime Studio Pro 8.2 for $129.99 by visiting http://anime.smithmicro.com/upgrade.html. Wacom’s Bamboo Capture ($99.95 USD) and Bamboo Create ($199.95) pen and touch tablets are available at most consumer electronics retailers as well as Amazon and Wacom’s own online store. 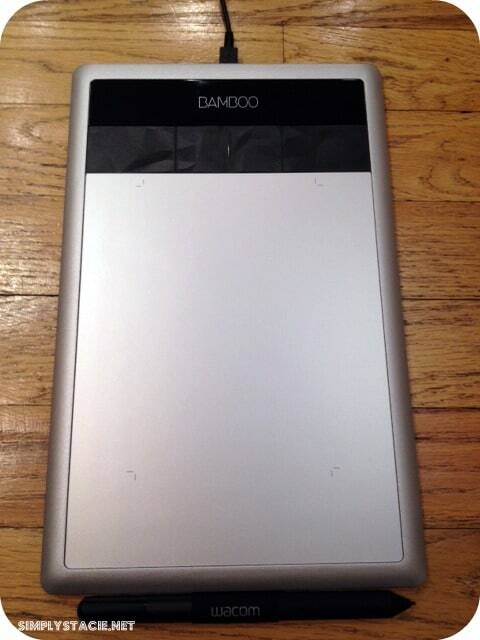 You can learn more about the Bamboo tablet on the Wacom website. Wacom is also on Facebook, Google+, YouTube and Twitter. You can find out more about Anime Studio software on the Smith Micro website. Disclosure: I was not financially compensated for this post. I received a sample of the products for review purposes. The opinions are my own, based on my personal experience with the product.